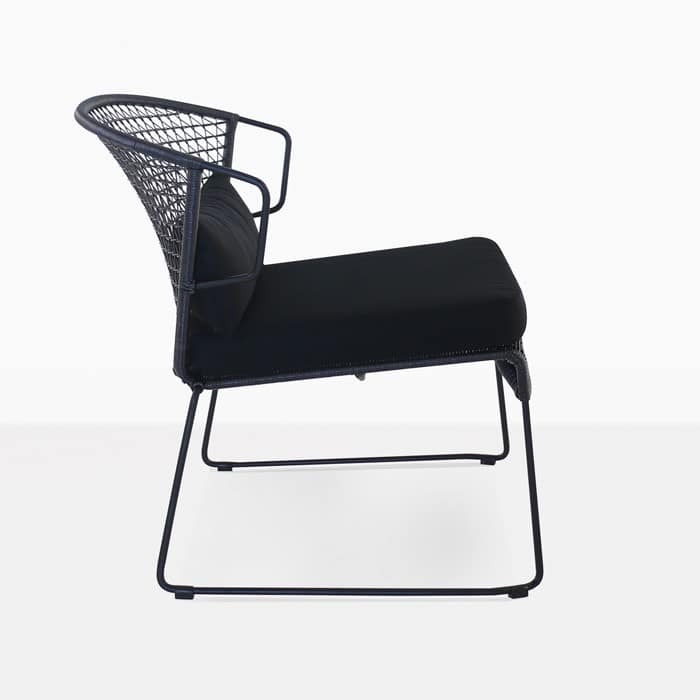 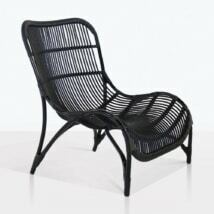 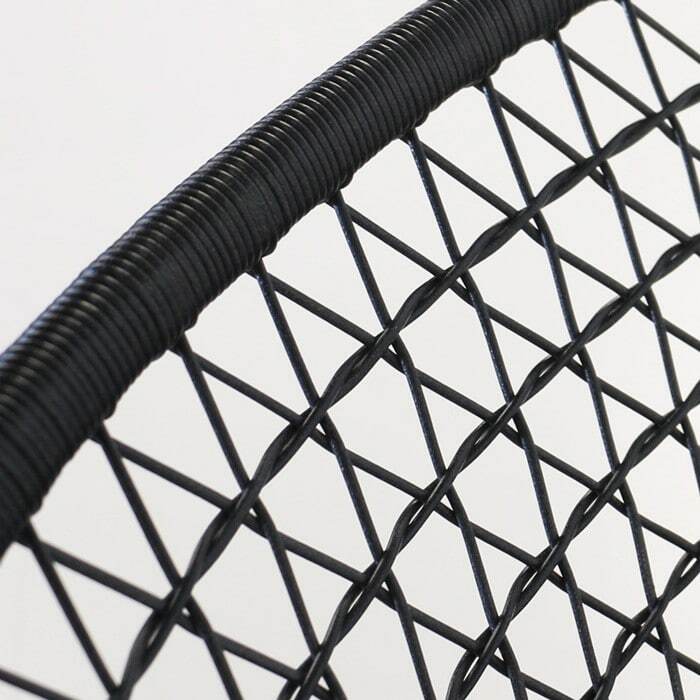 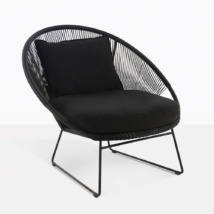 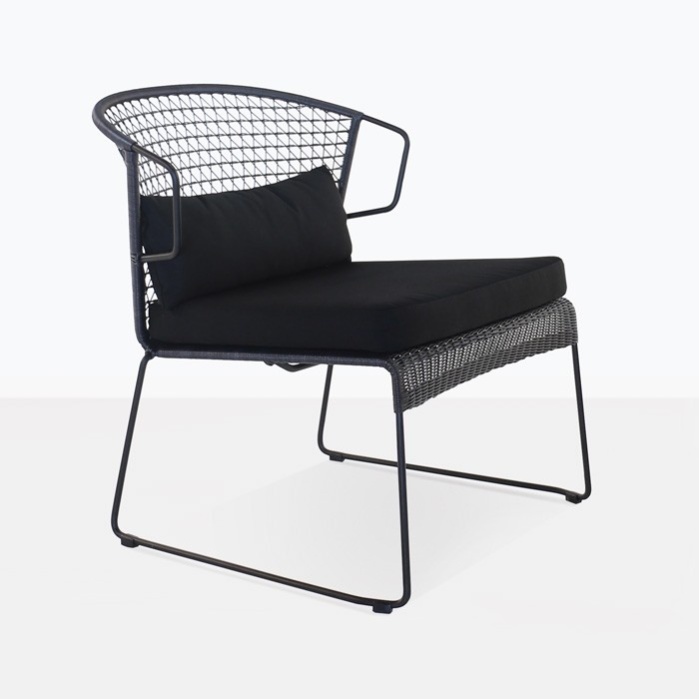 The Sophia Outdoor Wicker Relaxing Chair in a black weave is absolutely stunning and eye catching. 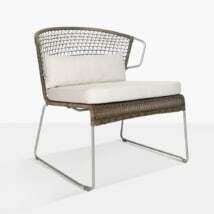 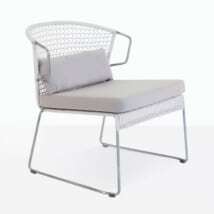 It has a modern design with an interesting wicker weave that adds texture and makes it inviting to sit in. 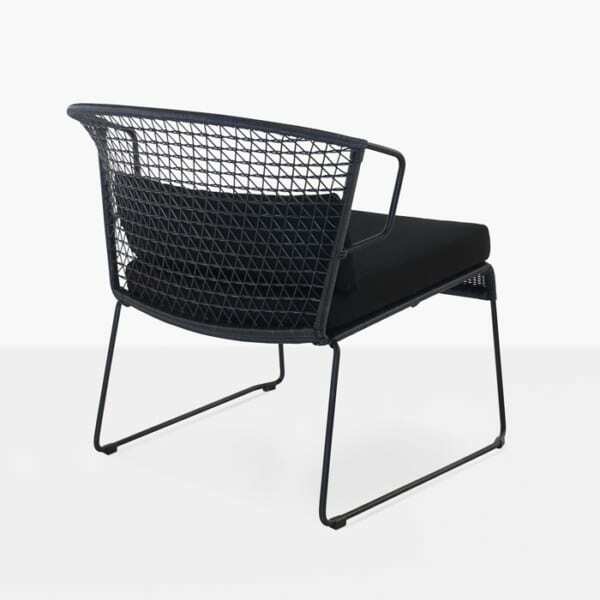 The curved back and powder-coated steel frame is like nothing you have seen before. 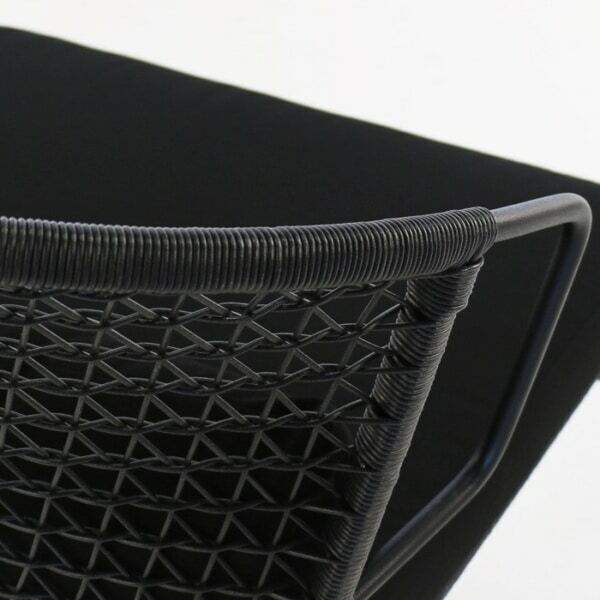 It is topped with a thick Sunbrella seat cushion and lumbar back pillow; these along with the wide and low seat make relaxing in style very easy to do. 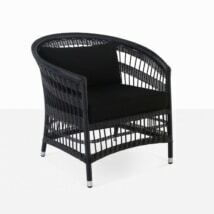 It is made with premium materials that are meant for the outdoor environment.